Nestled amidst the sprawling greenery of Sawai Madhopur, Tiger Machan Resorts near the Ranthambore Tiger Reserve is the idyllic wildlife retreat. The Tiger Machan Resorts offers to its guests the best of comforts and services. The personalized services and warm hospitality of the Tiger Machan Resorts makes your vacation a comfortable stay. Ranthambore in Sawai Madhopur of Rajasthan is famous for its Tiger Reserve which is the home of the majestic predators. A collection of rich variety of flora and fauna and abundance of tigers makes it the favorite destination of wildlife buffs. Ranthambore was earlier the hunting retreat of the Maharajas. 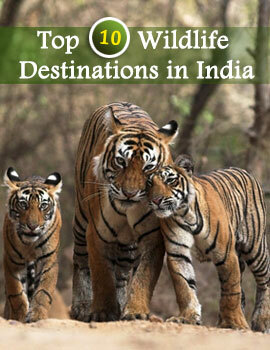 Today it is one of the famous wildlife sanctuaries of India. Spend a perfect getaway amidst the beauty of nature, pastoral settings with adventure and romanticism in your heart in the Tiger Machan Resorts. The forest resort with its sprawling lawns, swings and cricket fields makes it a perfect retreat. Explore the Ranthambore Wildlife and enjoy your comfortable stay in the cozy corners of the Tiger Machan Resorts, Ranthambore . Tiger Machan Resorts offers some exquisite Indian, Rajasthani and Continental food cooked up by the master chefs of the in house restaurant.